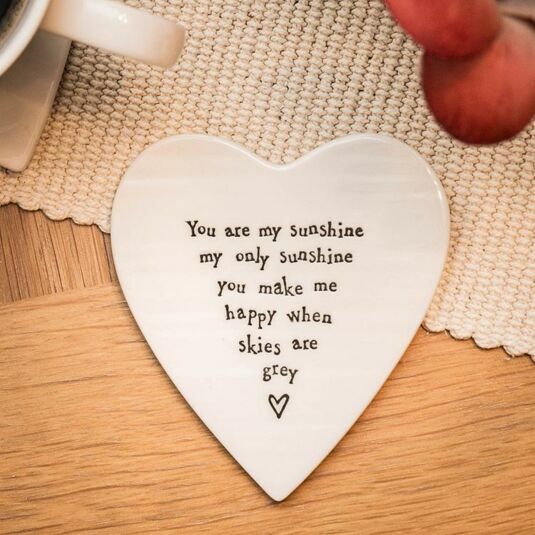 Made from Porcelain, this robust heart-shaped coaster reads "You are my sunshine my only sunshine you make me happy when skies are grey" with a small hand-drawn heart underneath. The perfect way to ensure your table and other surfaces remain stain free, this high quality East of India coaster brings a touch of class to your home, and also spreads a message of joy. 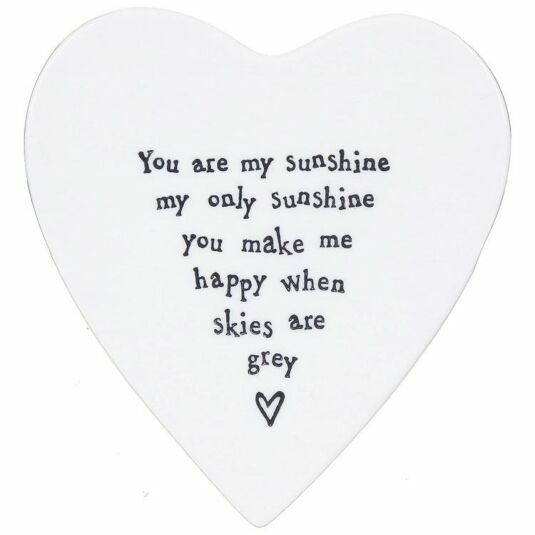 The base is padded to protect any delicate surface you might wish to place it on.